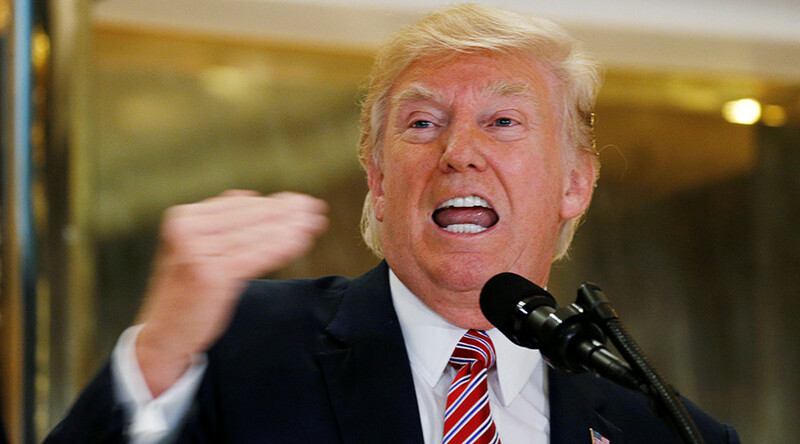 Trump has seemingly yet to recover from widespread criticism on his initial comments Saturday, after a woman was killed in Charlottesville, Virginia, while counter-protesting an alt-right march attended by white supremacists and white nationalists. At the time, the president condemned violence from “many sides,” and amid a backlash Monday, he specifically called out neo-Nazis. On Tuesday, during a heated news conference at Trump Tower in Manhattan that was meant to focus on infrastructure, Trump spent most of the time critiquing reporters who asked why it took him so long to issue a stronger statement. One reporter asked Trump if he thought the press was treating white nationalists unfairly. “Let me ask you this, what about the fact they came charging with clubs in the hand, swinging clubs? Do they have any problem? I think they do,” he said. The fiery exchanges with the press pushed “Alt Left” near the top of trending topics on Twitter. Many were bewildered, denying the term represented anything real at all. I just want to clarify this for this moron @realDonaldTrump, and for anyone else. THERE IS NO ALT-LEFT. Thats not a thing. 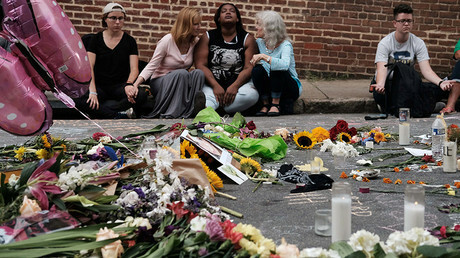 Trump is siding w/ white supremacists, blames "Alt Left" for violence and downplaying death of young women in C-ville. GOP MUST impeach him. Others on Twitter pointed to some on the political left for coining the term as an epithet for some progressives in the broader liberal movement. Presumably the idiots who worked so furiously to coin "alt left" in order to disparage everyone left of Hillary can declare victory now. Trump predictably drew many attacks on social media. Some of the praise, however, may have been the least helpful. Former KKK Grand Wizard David Duke thanked Trump “for your honesty & courage to tell the truth about #Charlottesville & condemn the leftist terrorists in BLM/Antifa,” he said on Twitter. Duke had previously called out Trump’s perceived feebleness, saying, “It’s amazing to see how the media is able to bully” him. Democratic officials in Virginia on the local and federal levels also took aim at Trump for his comments Tuesday. And now we're back to where we were Saturday: "there's blame on both sides." This guy REALLY defended the "Alt Right" smh..
Trump also claimed that many of the people at the rally were “innocently” protesting the statue of Robert E. Lee being taken down. He said that those who were against “changing history” and “changing culture” were “treated absolutely unfairly” by the press. Trump also compared the leaders of the confederacy to the nation’s founding fathers, questioning if their statues would be taken down because they were both slave owners. Uh oh… Trump just compared generals of confederacy to George Washington and Thomas Jefferson. Several GOP leaders spoke out against Trump’s statements, including House Majority Whip Steve Scalise (R-Louisiana), who was hospitalized after being shot by what many described as an attack from the “alt-left” type during a congressional baseball practice in Washington, DC last month. “We can not allow this old evil to be resurrected,” Rubio tweeted.